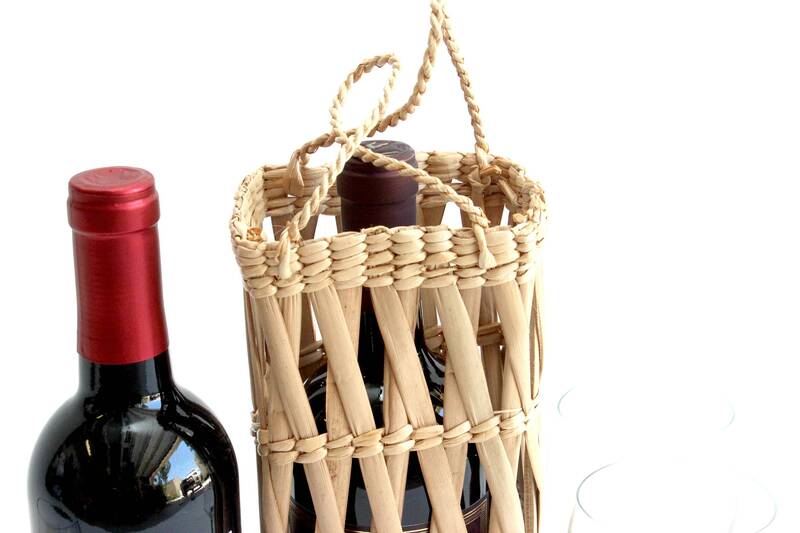 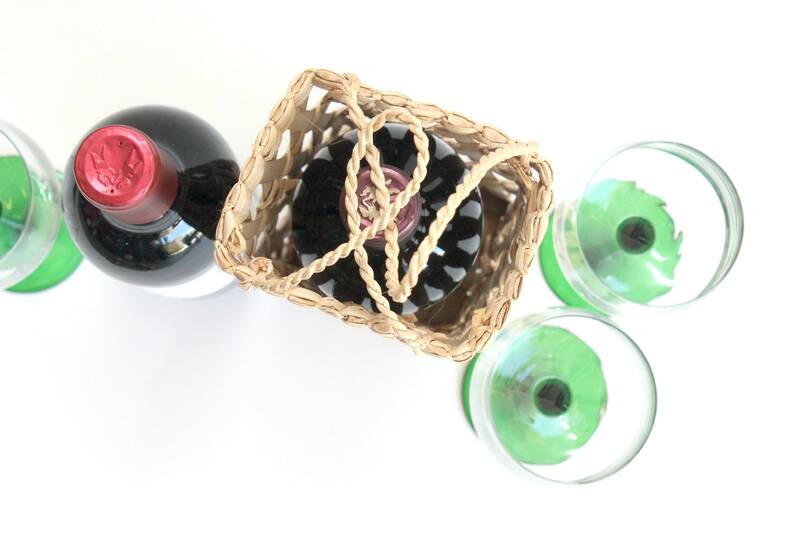 Natural woven wine bottle gift bag. 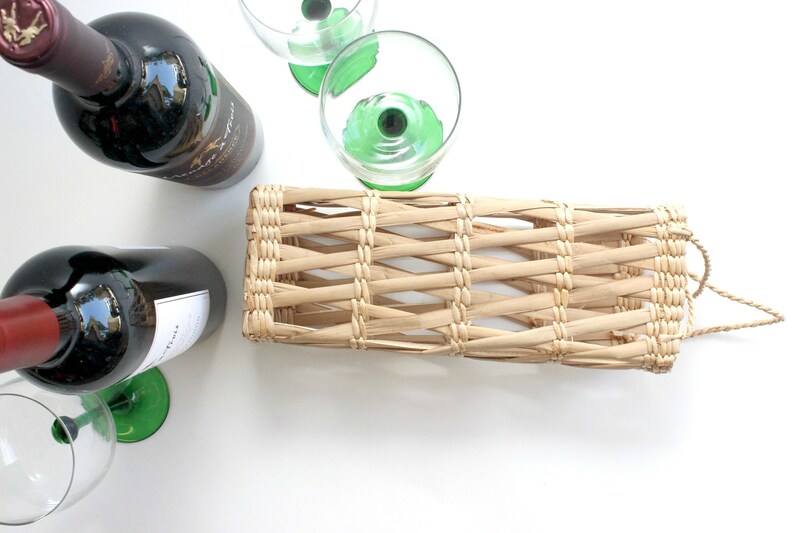 Made from straw and bamboo. 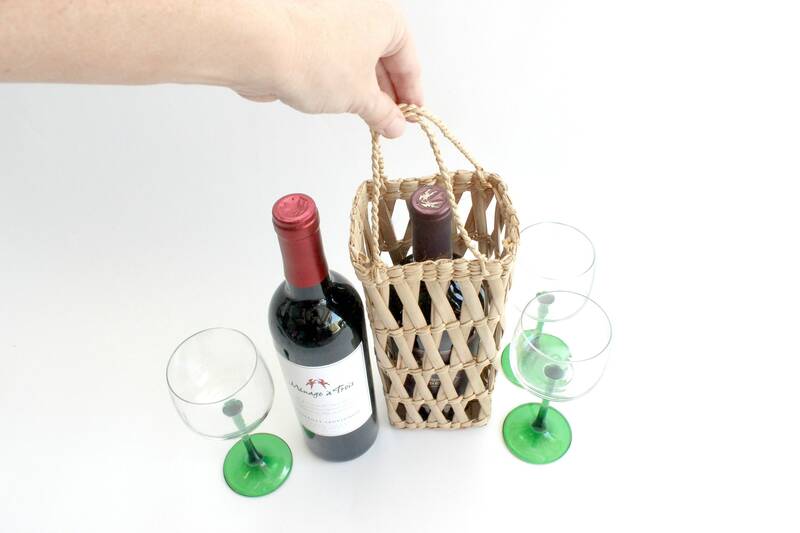 Fits a regular full size wine bottle. 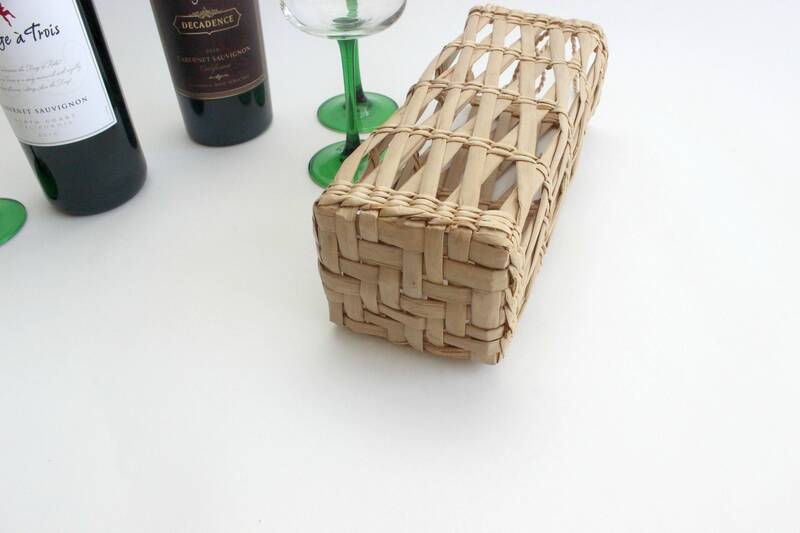 Makes a great hosts gift for your next house warming or holiday party! 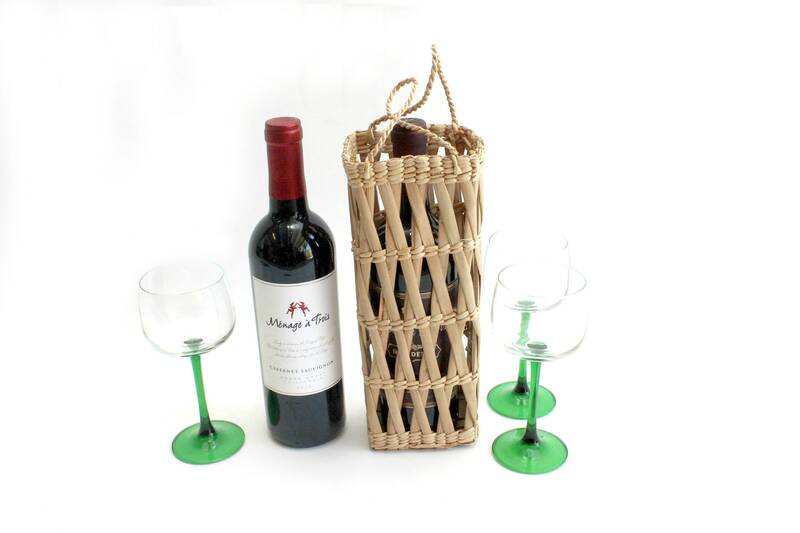 Measures 4 inches wide, 3 inches in depth and 11 inches tall.